Nigeria’s Coordinating Minister of the Economy and Minister of Finance, Dr Ngozi Okonjo-Iweala was just recently named as part of a UN team selected to head a fight against childhood malnutrition. This however hasn’t slowed down her World Bank Presidency bid in any way. She has already been endorsed by the AU as “Africa’s candidate” as well as received the backing of several global leaders, and now she’s gained endorsement from one of the most influential organisations of women supporting women in Nigeria, Women In Management and Business, WIMBIZ. The organisation released a statement praising her courage for running for the position, stating that she is the best for the job by citing her qualifications and seasoned expertise. 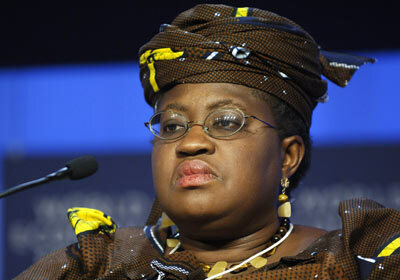 The Chairperson of WIMBIZ, Adeola Azeez, spoke and highlighted Okonjo-Iweala’s experience working in the World Bank. “She stands as a symbol of principled hard work and a role model, who is well poised to take on the leadership of the World Bank,” Azeez said. The World Bank is scheduled to make a decision on its leadership on 16th April.